50 AMP and 30 AMP sites are available. · CHECK-OUT TIME is positively 12:00 pm. · PLEASE DO NOT cut on trees and shrubs in park. We also ask you not to hang gas lanterns from trees (the heat will kill the trees). · PETS ARE WELCOME, but we ask that they be kept on a leash and under control. · FIREWORKS AND FIREARMS are prohibited in the park. · QUIET HOURS are between 10:00 pm and 8:00 am. · TRAIL BIKES AND MOTORCYCLES may NOT be ridden in the camping site. · FINANCIAL RESPONSIBILITY- Parents are financially responsible for their children’s activities. 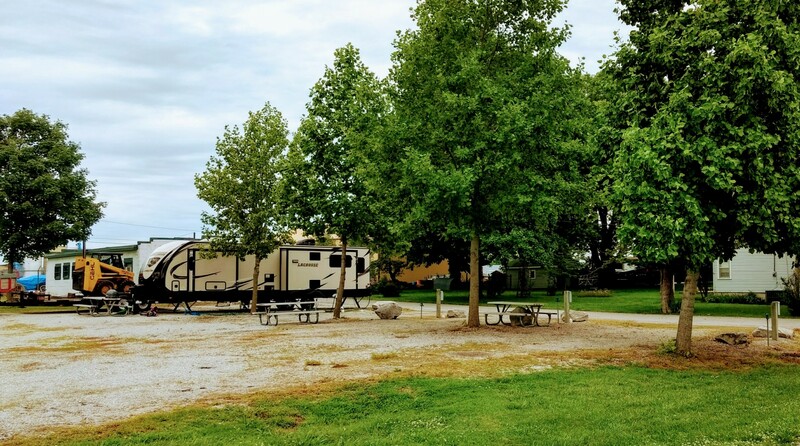 · NO WASHING of cars or trailers in the park.